World number one Andy Murray can find “no reason” for his “struggle” with form following defeat in the second round of the Italian Open. 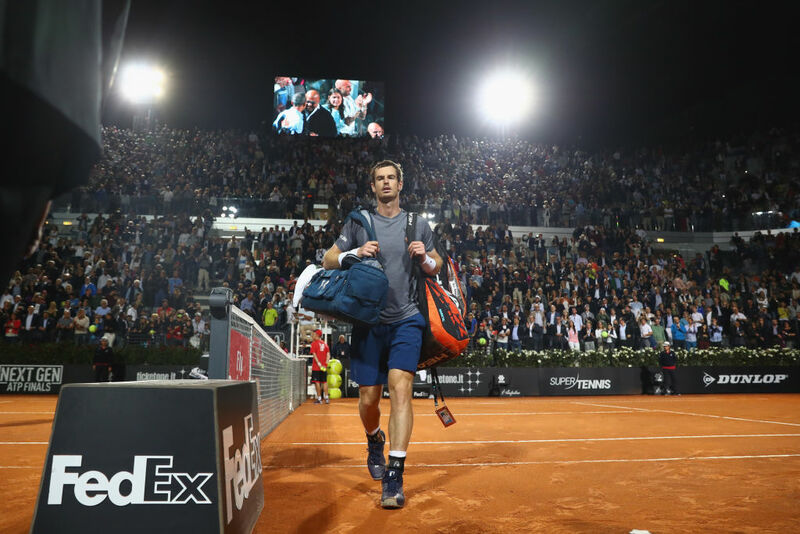 The French Open begins on 28 May but Murray has only reached one semi-final in his last four clay court events. He added: “The last couple of weeks have definitely been a struggle and a long way from where I’d like to be. There is no reason for it from my end. The Brit insists his difficulties are nothing to do with the pressures of being world number one. But he admitted he found it hard to create chances against world number 29 Fognini, as he suffered a fifth defeat in 10 matches. Murray’s last title came in Dubai in February, a contrast to the form he showed in winning five events in a row to end 2016. He will arrive in Roland Garros with his run to the semi-final of the Barcelona Open in April as his best return on clay in 2017. Ivan Lendl – who coaches Murray on a part-time basis – will join up with the team later this week for the grand slam event in Paris.